Home » Uncategorized » Did you know today (April 18th) is World Heritage Day? Celebrate it with a visit to Stonehenge or Avebury. 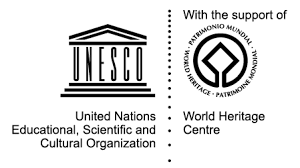 Did you know today (April 18th) is World Heritage Day? Celebrate it with a visit to Stonehenge or Avebury. On 18th April 1982 on the occasion of a symposium organised by ICOMOS in Tunisia, the holding of the “International Day for Monuments and Sites” to be celebrated simultaneously throughout the world was suggested. This project was approved by the Executive Committee who provided practical suggestions to the National Committees on how to organise this day. By StonehengeNews in Uncategorized on April 18, 2015 .